to Meet Your New All-Purpose Miracle! What Is The "Second Sight Training Plan"? 8 Detailed Videos where we’ll show you everything you’ll need to perform this miracle for audiences from 1 to 1000 people. Discover the hidden methods professionals use to quickly make powerful ‘Special Decks’. Learn the easy way to make decks you can’t buy in ANY store! You’ll get 20 years worth of our proven ‘go-to’ presentations, so you’ll know exactly how to adapt your new miracles to any situation…every time! What's Inside The Second Sight Training Plan? 8 Detailed Training Videos that teach you everything you’ll need to create a miracle beyond compare. 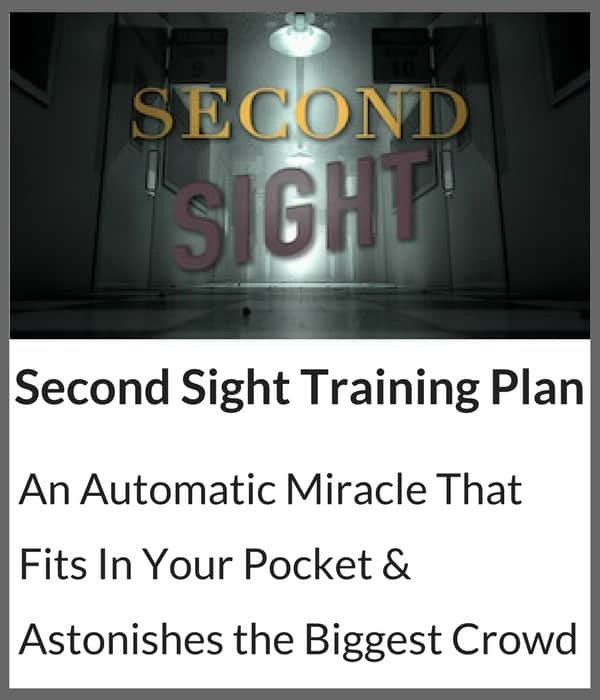 3 Astonishing Little-Known Secrets Master Ron Wilson added to make Second Sight even more astonishing and practical than the famous Invisible Deck. Deploy the Conviction Card, a strategy that actually lets your spectators shuffle the Second Sight Deck! They’ll swear you used ordinary cards! A 30 Second Thunderbolt Miracle you can use to as a Strategic Opener, or a Climactic Closer, any time YOU want! The Professional Secret to Easy-To-Make Mechanical Decks - so you can make better decks than you can buy in any magic shop. Every step and secret detail you’ll need to make your Special Deck like a pro the very first time. Easy Mass-Production Secrets that let you prepare all your cards at once - so you can save time AND money. The easy-to-find, little-known secret ingredient that lets you make your own Special Decks fast…with ease! 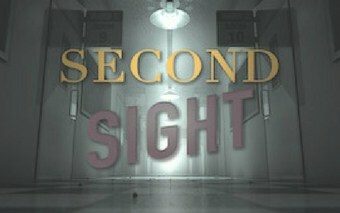 Now that I have Second Sight, I never worry about what to perform again. Last weekend, I used it to floor 300 people at a family wedding…using only the Second Sight Deck in my pocket! Thanks to the Second Sight Training plan, I’ve saved over $200 on the decks I use the most in my professional shows. Learn to Make 4 of the most astonishing Special Decks ever devised, so you can use your new training to create an unlimited number of miracles. Discover 12 Strategic Openers and Powerhouse Closers you can use to ‘bring down the house’ EVERY time you perform. Learn how to use the principles of Strategic Astonishment to adapt your miracles to any situation. Our favorite go-to presentations and miracle effects for each Special Deck, so your new magic is as easy as plug, play and presto! $7 puts this training within the reach of everyone…from people just getting interested in magic to full time professionals. It weeds out the people that only value ‘free magic secrets’. We only want passionate magicians who truly want to amaze. In our experience, charging anything...even a buck or two...gets rid of 99% of the goofballs. We also believe that once you experience this Amazement Plan, you'll want more and maybe…just maybe…you'll come back, get some more of our magic and possibly even upgrade to Conjuror Community, where you get access to our complete Amazement Plan Library. But that's it: No fine print…no "hidden trials"…no shenanigans. Just the information you need and the results you want. Amazement Plans are packed with valuable information and no filler. If you want ‘hypotheticals’ and tricks developed and tested for two days, that’s what You Tube is for. Amazement Plans are all about taking action and getting astonishing results as quickly and easily as possible.